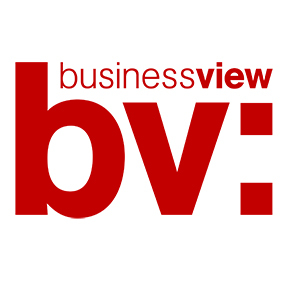 Business View dips its lid to a family business celebrating its fiftieth anniversary. The Mens Winter 2017 collection from Avenel. From 1960s dapper caps to the 1980s ‘Slip Slop Slap’ revolution and savvy new licensing arrangements today, Avenel Hats recently celebrated 50 years in business. Business View talks to co-founder Norm Dobinson and CEO Stephen Dobinson about a journey spanning half a century. In 1966, the year the Australian dollar was introduced, the miniskirt took off and The Sound of Music won Best Picture at the Academy Awards, two Melbourne salesmen, Norm Dobinson and the late Horrie Smith, joined forces to establish a company called Avenel Hats. The Avenel Hats team has been creating hats since 1966. A wholesaler of imported and locally-made headwear, the aim was to create hats for all ages and all occasions. Fast forward 50 years and the venture founded on a few hundred pounds and a healthy dose of optimism continues to supply over 1,000 pharmacies and stores across Australia and New Zealand with everything from sporting floppies to spring fascinators and hand-made Ecuadorian panamas. Today, licensing agreements negotiated by Avenel’s current CEO, Stephen Dobinson, with national charities the McGrath Foundation, Surf Lifesaving Australia and Australian Melanoma Research Foundation have seen the company’s sales increase by over 50 per cent over the past four years. Both deals entail Avenel paying an annual fee for the right to sell a range of hats under the respective organisation’s brand. It’s a marketing strategy Avenel first employed to equally good effect more than three decades ago, when a similar deal was inked with the Anti-Cancer Council of Victoria (now Cancer Council Victoria). Following the Council’s launch of the iconic ‘Slip Slop Slap’ campaign to promote sun-smart behaviour back in 1981, Avenel introduced a range of broad-brimmed hats bearing its branding. At a time when the plummeting popularity of more formal headwear meant other distributors were struggling, the initiative ensured the firm kept tracking strongly, according to Norm Dobinson. Avenel co-founder Norm Dobinson with NAB’s Kirsten McMahon-Cook, Avenel CEO Stephen Dobinson and NAB’s Dan Gleave. Five decades after launch, Avenel remains a family affair. Norm’s son Stephen serves as the company’s CEO, while Horrie Smith’s grandson, Stephen Smith, oversees warehouse operations. 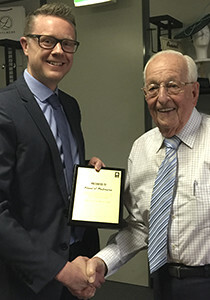 Horrie’s son Jim also worked in the firm for 30 years in management and at the same time took over Horrie’s sales territory, prior to Jim’s retirement in 2009. Respectful and amicable business relations between the two clans have enabled the company to survive and thrive over the years, according to Norm, who hung up his hat several years ago but continues to sport one of the firm’s top-selling panamas for his twice-weekly round of golf. “Horrie and I were very different guys,” Norm says. “He was a great salesman and I looked after the office side. Our wives Dorothy and Marj got on great guns, and when we went on overseas buying trips we’d all go together. We were a good team. Stephen and wife Jo with daughter Sally, son Tom and family and friends. Since 1990, Avenel has operated out of substantial, purpose-built premises in the outer Melbourne suburb of Hallam. It’s a far cry from the firm’s original perch in the garage – and at the kitchen table – of Norm’s family home in South Oakleigh, several kilometres away. “It was a struggle in those early days but we managed to be very lean,” Norm recalls. “Our home phone number was the business phone number and my wife Dorothy answered the phone. “Horrie and I began following the same sales routes we’d taken working for our previous employer, George Stooke and Sons, one of Melbourne’s biggest hat manufacturers in those days. I called on my clients and Horrie called on his. Our customers were very loyal to us – some of them are still with Avenel today – and we didn’t look back. “After about six months we found the garage was far too small. We rented a space nearby and then expanded again when we outgrew that. But we stayed in the area and kept using the home phone number, to keep costs down. NAB’s Dan Gleave with Avenel co-founder Norm Dobinson. A NAB customer from the outset, Avenel’s association with the bank remains strong, half a century down the track. “Horrie had always banked with the NAB so when we formed our partnership we just went down to the East Bentleigh branch and opened an account there,” Norm says. Cooperation, innovation and the ability to run a lean operation will see Avenel continue to thrive as it powers into its sixth decade, Stephen Dobinson believes. “You’ve always got to be following trends and looking for new markets,” he says. “The business has changed dramatically since Dad and Horrie started it and it will continue to evolve.